George Soros says he is alarmed and frustrated at the speed in which President Trump is dismantling the New World Order. Speaking exclusively to the Washington Post, the billionaire globalist admits he regrets not foreseeing Trump’s meteoric rise to power. 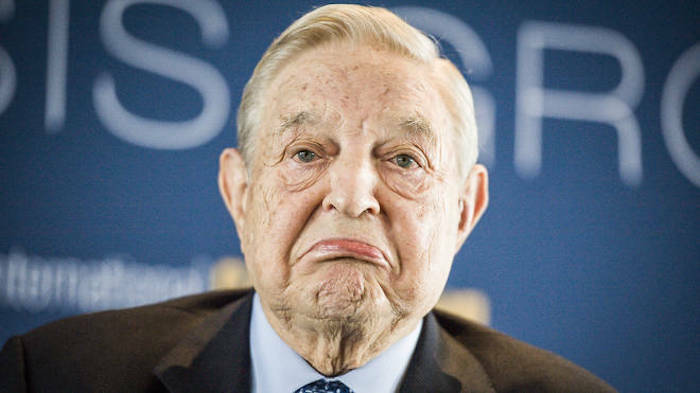 Fearful that Trump “is willing to destroy the world”, Soros has vowed to “redouble [his] efforts” in pouring millions of dollars into opposing everything Trump stands for. Zerohedge.com reports: While the Hungarian-American might come off as full of doom and gloom in his interview, he actually has a reason to feel that way because Trump has single-handedly presided over the dismantlement of the Liberal-Globalist world order that Soros has worked for decades to build, destroying the old paradigm of Trans-Atlantic relations in a simple spree of tweets and presiding over the return of Christian morals, ethics, and values in American society, ideas that are absolutely anathema to the atheist billionaire. From Soros’ perspective, Trump is indeed destroying the world, albeit not in the apocalyptic sense like he’s implying but in the ideological one of pioneering a completely new world order than the one that the President inherited. Obama, who can be regarded as Soros’ surrogate in the White House, worked towards building a world where the US bows before the authority of the UN on many (but crucially, not all) key issues such as climate change and sustainable development agendas, heralding in a new multilateralism that would have moved International Relations closer to a so-called “one world government”, albeit one that would still be largely under indirect American influence. Concurrent with this, the Obama-Soros vision was to have the media attack all of their opponents as “racist, fascist, white supremacists” for daring to think that the future might be different, but then all of a sudden Trump came along and committed to undoing their legacy. The world that Trump wants to build is one of unrestricted American unilateralism in “Leading from the Front” while unabashedly pioneering a return to unipolarity, righting what he truly believes to have been the many historic wrongs that Obama, Soros, and all the others before him committed in voluntarily handicapping American power through lopsided trade deals and various other unfair commitments. All told, this global recalibration can rightly be described as a “Revolution in World Affairs” because of the “new thinking” involved in guiding America’s policies from here on out.